The number of new businesses keeps climbing suggesting the state’s economic growth will continue, according to a new report released by the Secretary of State's office. There were 8,915 new entity filings in the fourth quarter of 2017, representing an 8.5 percent increase compared to the same time the year before. Initial filings have now had positive year-over-year growth for 25 consecutive quarters. Domestic limited liability corporations (LLCs), which were up 13.1 percent, show the strongest growth and account for more than half of all new entity filings. 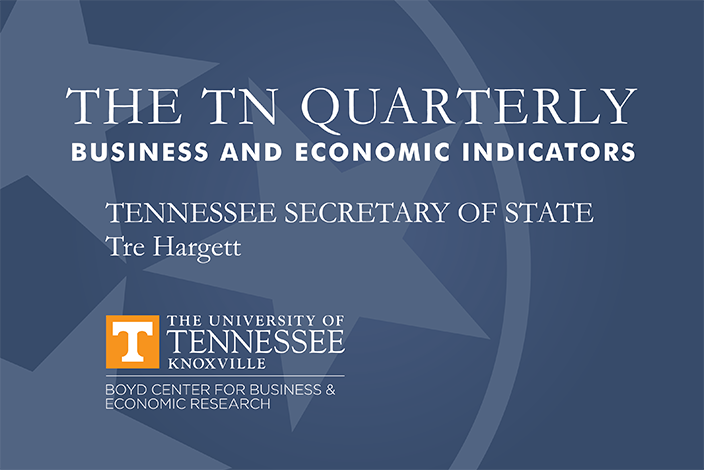 “These numbers show that business leaders continue to invest in Tennessee. The Tennessee General Assembly and Governor Haslam have created a welcoming business climate that will serve us well in the years ahead,” said Tennessee Secretary of State Tre Hargett. As of Jan. 1, 2018, there were 262,462 active entities in Tennessee representing a 5.1 percent increase compared to the same time last year. Among the state’s four largest counties, Hamilton County has the largest initial filings year-over-year growth at 21.3 percent. Davidson County came in second at 11.8 percent with Shelby County trailing just behind at 11 percent. Knox County saw a 7.7 percent increase. The four counties account for 5,013 new entity filings during the fourth quarter of 2017, which is a 12 percent increase compared to the same time in 2016. The state’s unemployment remained historically low at 3.3 percent in December. Tennessee’s unemployment rate remains well below the current national average of 4.1 percent. State revenues for the current fiscal year are up 3.8 percent. The national economy is also experiencing solid growth with new jobs and housing starts.